Whitman Tell-A-Tale book is just like new. Pages inside are in perfect shape with no marks or tears. Photo shows what the cover looks like, but is of a another copy in excellent condition. The one for sale is in mint, unused condition. 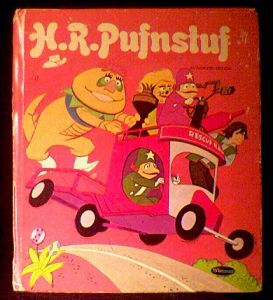 Sid And Marty Krofft items are very collectible. Website design and hosting by Sohodojo Business Services. Item 196 of 466 items displayed in viewer. 0 items in cart.